The Myall River State Forest, between Buladelah and Stroud, lies about 170 km north of Sydney. With its dense hardwood tree cover – known as the Purgatory Scrub – it was very tempting to timber companies, but its rugged terrain proved a great obstacle. This book describes the efforts of a succession of five companies, to exploit the timber. 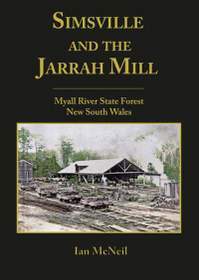 It involved the establishment of a sawmill and logging tramways in the State Forest, and outlet tramways to the port of Alworth, on the Karuah River, from where the timber was taken to Sydney in shallow draft steamers.